The vision for the new Japanese Canadian Cultural Centre (JCCC) was to create a dynamic, contemporary institution which integrates cultural programming and economic development. Simplicity, economy and quality were the guiding principles in the design of the new Centre. A combination of new construction and strategic renovation transformed the existing office building into a cultural facility that is welcoming, accessible and inclusive. The design embodies an idea of community and provides a flexible infrastructure for the full range of programming offered by the institution. Three major elements – ­­a sign, a screen and a lantern tower – ­­create a distinctive presence for the JCCC on its new site. A large steel and cedar screen wraps the southeast corner of the building and visually directs the new arrival sequence. 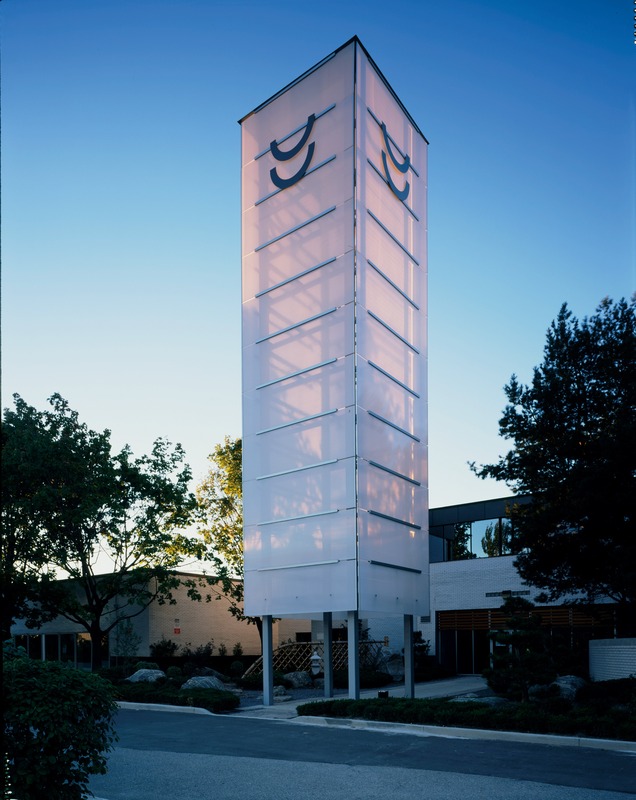 A translucent acrylic and steel tower, its form inspired by the Akari lamps designed by Isamu Noguchi, dramatically mark the main entrance. 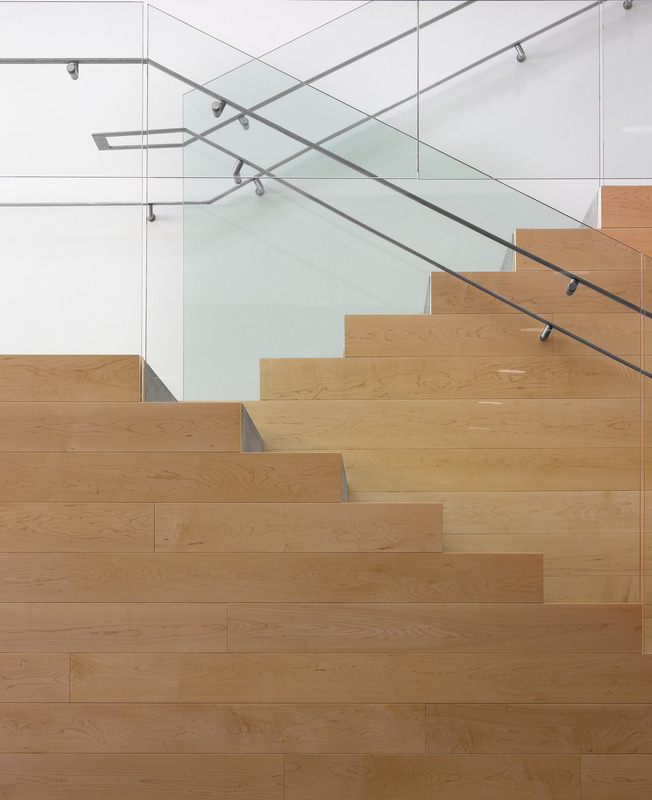 A generous east-west Gallery Street organizes the interior plan and creates a multi-functional space in which the cultural, historical and social programs of the JCCC converge. The Gallery Street is designed to accommodate receptions and special events, an exhibition gallery and spaces for casual meeting.